Whether it's cappuccino, espresso or caffè macchiato, Italians know the importance of a good coffee - and in Milan, stopping into coffee bars for regular pick-me-ups is a way of life. If you're just passing through, you'll want to adopt the Italian habit during your stay. Between shopping trips and fashion shows, you'll need that extra dose of energy. Whether it’s cappuccino, espresso or caffè macchiato, Italians know the importance of a good coffee – and in Milan, stopping into coffee bars for regular pick-me-ups is a way of life. If you’re just passing through, you’ll want to adopt the Italian habit during your stay. Between shopping trips and fashion shows, you’ll need that extra dose of energy. The busy Milanese typically take quick shots of espresso while standing at the bar before moving on with their day. (Drinking cappuccino or other milk-based coffees after noon is generally frowned upon!) But just because they’re not sitting around for hours on end, doesn’t mean the bars aren’t decked out in lavish decor. Here are five elegant places to sip coffee in style. Establish in 1909, this historic bakery boats marble countertops, elegant chandeliers and an upscale vibe. Indulge in a delicious pastry to go with your (morning) cappuccino. 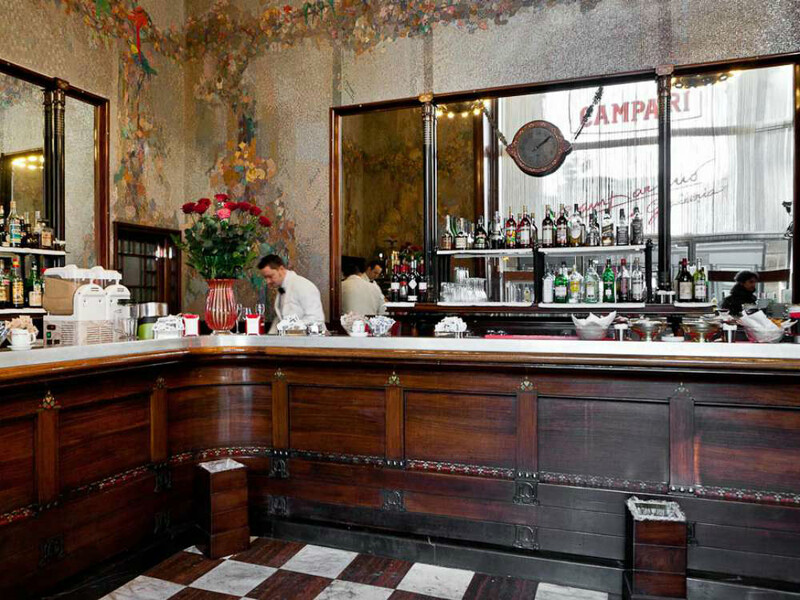 Located in the heart of Milan, next to the Piazza Duomo, this cosy bar is the perfect place to stop for a quick espresso as you make your way through the city. 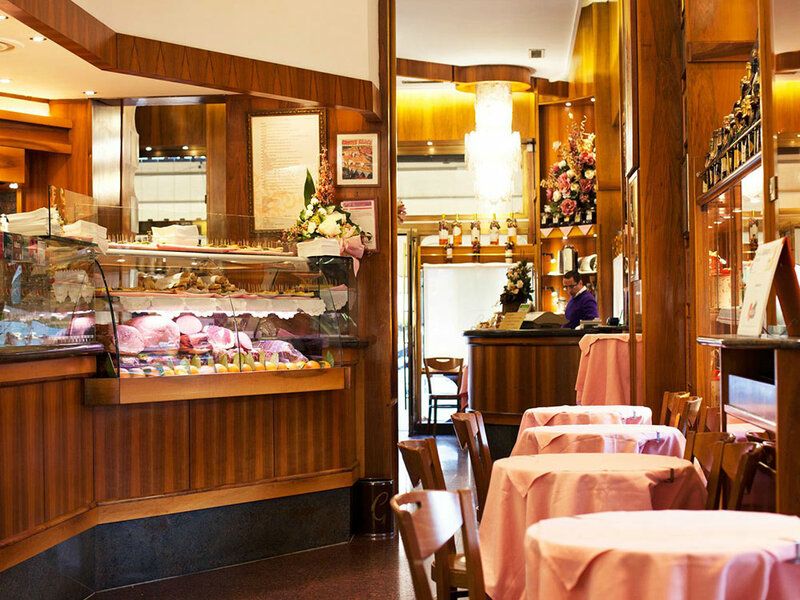 From the ornate chandeliers to the staff uniforms, this traditional Milanese pastry shop and bakery oozes elegance and old-world charm. Enjoy a coffee and treat yourself to a light and fluffy cannoli. 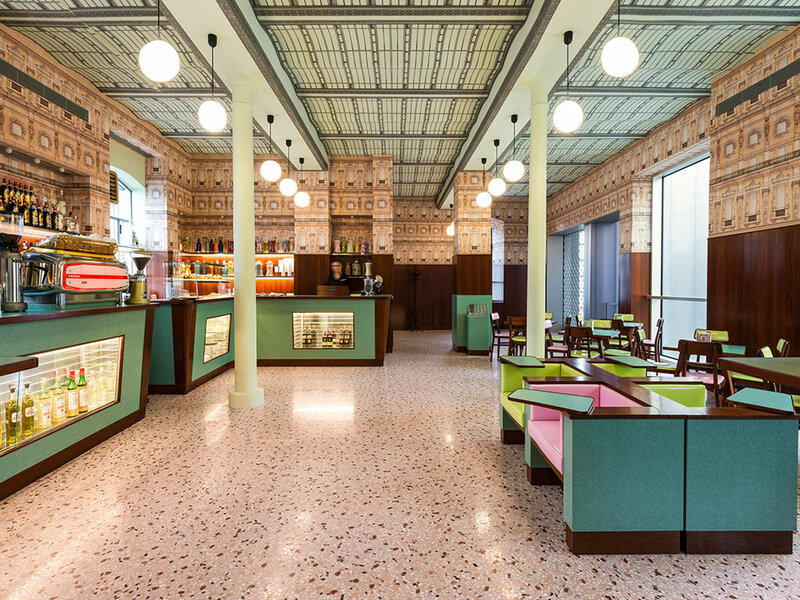 Designed by famed American filmmaker Wes Anderson, this coffee bar incorporates Italian pop art and a 1950s theme into its eccentric decor. Be sure to screen The Royal Tenenbaums before you travel to get you into the Anderson mood. Stop by this romantic cafe to sip a caffè macchiato in the idyllic garden courtyard. It’s the perfect spot to relax and refresh in between boutique shopping and gallery viewing.